You know how in movies there's that secret torch lever that opens a trapdoor or hidden passageway? 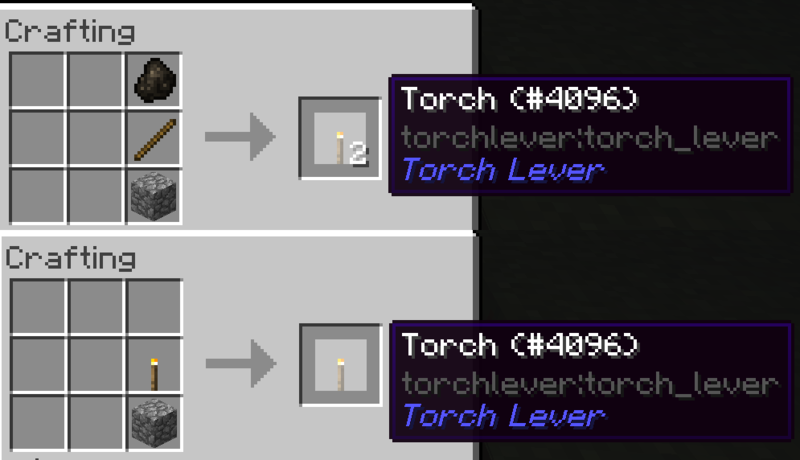 Torch levers look exactly like torches but can be pulled to activate redstone mechanisms. They are also hidden from Waila, because that would spoil all the fun! Torch levers can be activated on the wall or on the ground.